Refrigerators are so much more than they used to be. At one time, the biggest choice one had to make when purchasing a refrigerator was what color, brand or size to buy. Today, you can choose between a refrigerator with a French door refrigerator, a side-by-side refrigerator, or a small compact refrigerator. The optional features available in these refrigerators are mind-boggling. To help you find the perfect refrigerator for your lifestyle and your budget, we’re going to review the features found in some of the best refrigerators of 2018. 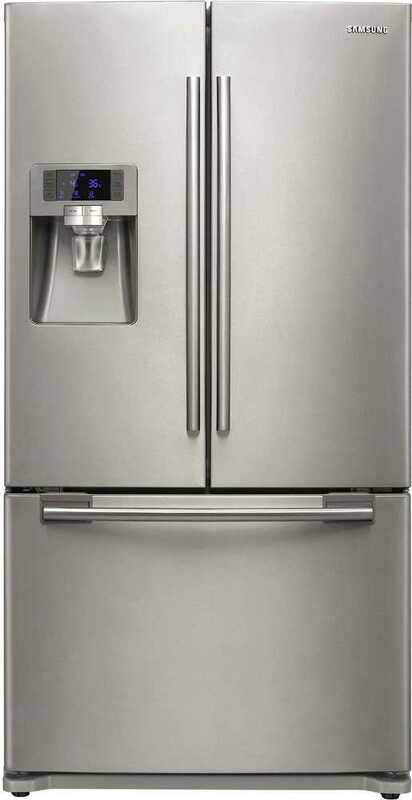 The most common style of refrigerators – the one most of us have grown up seeing, is the top freezer refrigerator. They are perfect for the smaller kitchen. Not only do they offer the most storage capacity, but they are also the most economical. 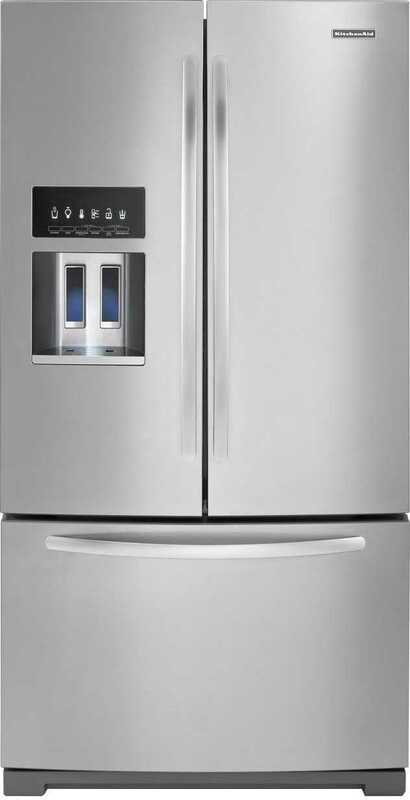 And, according to ConsumerSearch, are reported to have fewer repairs than any of the other styles of refrigerators. Top freezer refrigerators run the gamut of prices from just a few hundred dollars for the budget-minded consumer to a top-rated, feature-packed Kenmore 79433 priced at around $2,000. 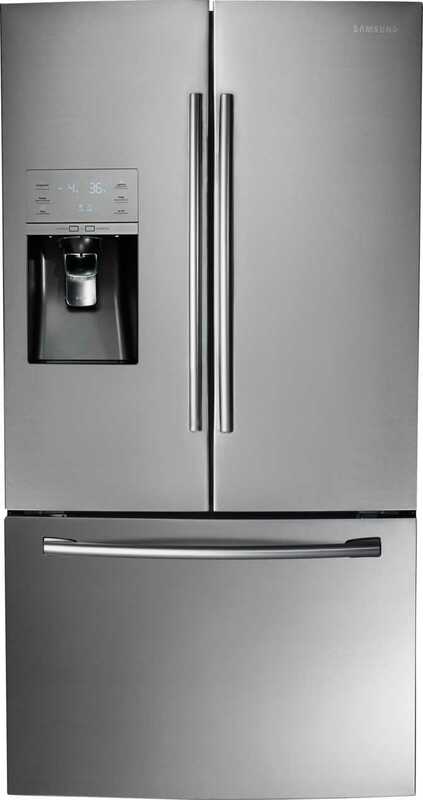 Being a sleek and contemporary design, while still moderately priced, side-by-side refrigerators are very popular. Although their shelves are narrower, they offer a significant amount of additional storage within their doors. On the outside, they generally, offer an ice and water dispenser. They come in a variety of widths, so they’re suitable for both small and large kitchens. The only real drawback to a side-by-side refrigerator is the need to bend over to access the lower crisper unit and bottom shelves of the refrigerator and freezer doors. A basic side-by-side refrigerator can be had for around $1,000. However, if you don’t mind spending a bit more, the large Samsung RSG309AARS offers top of the line features such as a door-mounted LCD screen. This is a style worth considering if you’re tired of digging through the contents of your freezer to find stuff. Bottom freezers offer a level of organization and accessibility that other freezers just can’t. Generally priced higher than both the top freezer and side-by-side refrigerators, these models offer a variety of shelves and layouts that can help you store items more easily. The drawback for some consumers is that bending is required to access the freezer. The Whirlpool WRB322DMBM, for around $1,400, serves as an excellent mid-level bottom freezer refrigerator that offers few features, but lots of roomy storage. 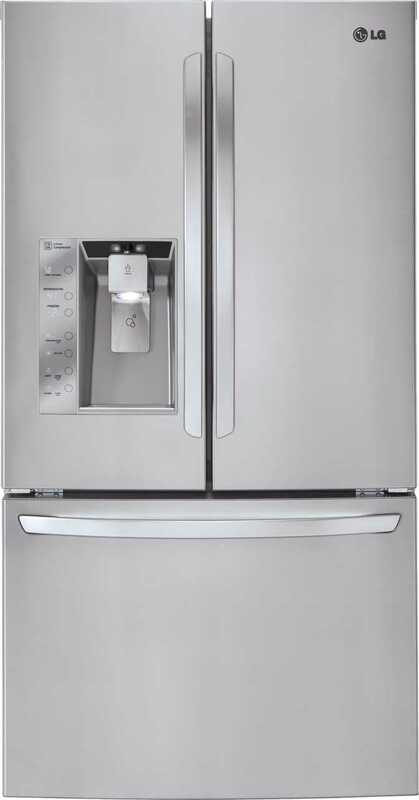 One of the top-rated bottom-freezer refrigerators, the LG LDC2437OST priced at around $1,800, is a strong performer. 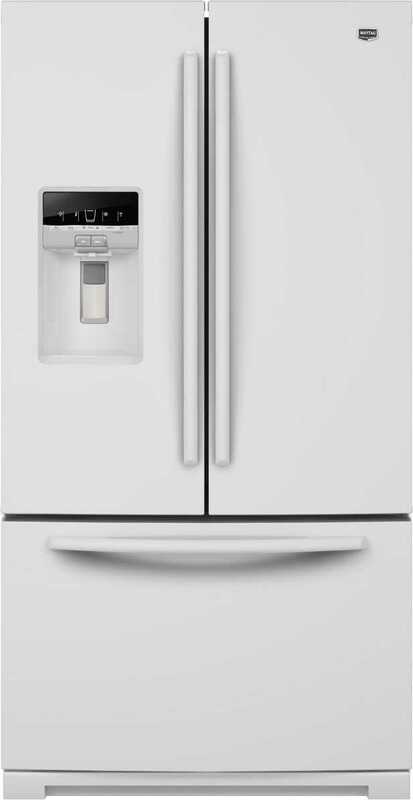 For beauty and functionality, French-door refrigerators are hard to beat – however, they come at a premium price. They offer the benefits of a side-by-side on the top – two doors opening up to a wide, cavernous refrigerator unit, filled with easily accessible and adjustable shelves and crisper drawers. In addition, the two doors also offer storage. On the bottom, they offer the benefits of a bottom freezer, with easy access to frozen foods. It also offers a variety of organizational features for efficient storage. 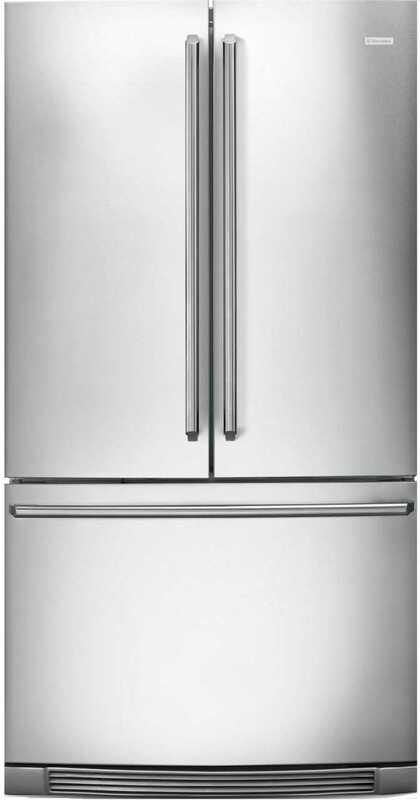 A basic 24 cubic foot French door refrigerator, such as the LG LFC24770ST, sans the ice maker and water dispenser on the door, starts at around $1700. 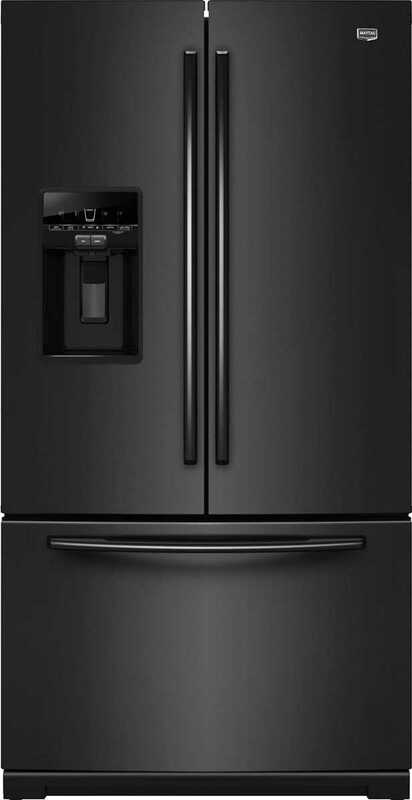 Add an in-door ice maker and water dispenser, as well as a Keurig K-Cup Brewing System in the door and the price for the mid-range, counter-depth GE Café Series moves up to around $3,300. Of course, the sky seems to be the limit on the state-of-the-art features offered on the Samsung Flex Chef RF24J9960S4 at around $6,000. Finally, touted for its outstanding convenience, is the compact refrigerator. For frequent travelers, the compact refrigerator simply can’t be beaten. Many models are set up to operate on a 12-volt charger, as well as plug into a wall outlet. For around the house, compact refrigerators can be easily moved from room to room, to the garage, or even to the outdoor patio area. Certainly a step up from what most of us have grown up with, today’s refrigerators come with an array of options that you might find useful and appealing. We’re going to touch on just a few of the most important features you might want to consider. Many refrigerators come with crisper drawers that offer you the ability to control the humidity and temperature. The humidity-controlled crisper drawer helps to extend the shelf life of fruits and vegetables. The temperature-controlled drawer keeps meat, poultry, and fish even colder than the temperature inside the refrigerator, while at the same time, reducing the moisture in the drawer. This helps to keep foods fresher longer. Some refrigerators are available with a “fast cooling” compartment, like Samsung, for instance. Samsung offers a “Power Freeze” option that can chill foods quickly. A basic refrigerator might come with just two or three simple shelves that you can adjust be pulling them out and putting them back in a different location. Of course, before you can do that, you’ll need to remove all the items from that shelf. Well, no more. Today, finding a place to put that extra gallon of milk or that tall 2-liter bottle of soda, has become so much easier. It seems that refrigerator designers have finally realized that you might need a convenient way to store items of various sizes. They have developed shelves that can be easily raised or lowered without having to remove the items from the shelf. They also offer a variety of adjustments within the refrigerator’s doors, to include a “double “door – essentially, a door within a door, resulting in nearly twice the storage. Next to the air conditioner in your home, the refrigerator is the second major consumer of energy. The estimated annual power consumption of a contemporary 21 cubic foot refrigerator is 612 kWh. Most of us are familiar with the “Energy Star” program, enacted by the Environmental Protection Agency in 1992. For many consumers though, convenience features tend to outweigh energy efficiency in importance. Simply because a couple of dollars saved on an electric bill may not seem like such a big deal. However, in a society that puts an ever-increasing demand on our natural resources, having an energy efficient refrigerator really is important. The good news is that, according to the Internal Revenue Service, the U.S. Government, via the Tax Relief and Job Creation Act of 2010, offers tax credits on refrigerators manufactured after 2011 and consumes at least 30 to 35 percent less energy “than the 2001 energy conservation standards.” Certainly, that is something to consider when shopping for that new refrigerator. And, in keeping with the energy-saving theme, many refrigerators are equipped with digital thermostat controls that offer more precision than the typical dial controls. In addition, most of those offer a digital readout, so you’ll be able to know exactly how cold your refrigerator is at any given time. 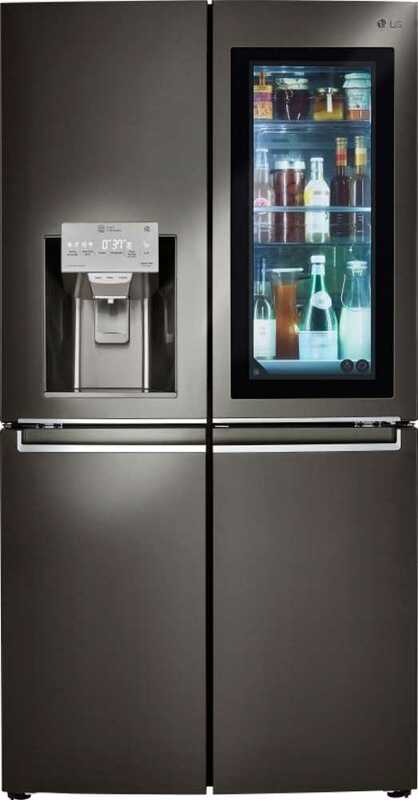 One of the best-loved features of today’s refrigerators is the water and ice dispenser. They can be found on the outside of the door or just inside the refrigerator. It provides filtered cold water and ice at the touch of a button. The only real drawback is that the internal filter will need to be changed regularly – and, this feature can malfunction, resulting in a repair bill. In addition to cold water, there are refrigerators that offer digitally-controlled hot water, as well as sparkling water. And, if you’re tired of using a measuring cup to get the correct amount of water for that recipe, they have an option for that as well. Yes, by telling the digital display panel the amount you want to be dispensed, your refrigerator will measure out the exact number of ounces you need automatically. So, where money is much less of an object, there are refrigerators that offer LCD display panels in their doors. Samsung just recently unveiled the Samsung Family Hub refrigerator that features a 21.5-inch touch-screen, which allows you to look inside your refrigerator without actually opening the door or, for that matter, even being at home. Acting like an Android tablet, you can sync your devices to the display so you can keep your updated family calendar handy and at the ready. Ask Alexa, Amazon’s digital assistant, to open your recipe on the display, turn on your favorite tunes via your streaming station – yes, it comes with speakers built-in, and cooking and cleaning in the kitchen won’t be such a chore. Refrigerators and their features are constantly evolving. Before you part with your hard-earned cash on features you may or may not need, be sure to do your research.